An exquisite bouquet for your loved one. Let them treasure this moment forever with an elegant bunch of 18 ruby red roses. 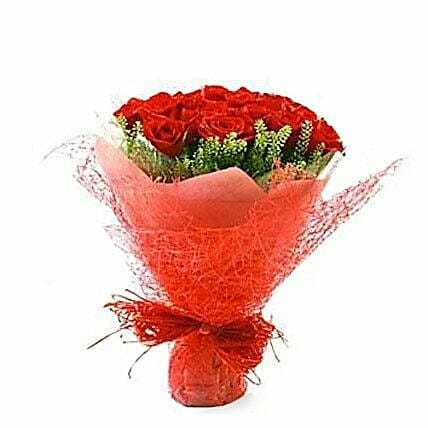 This flower bouquet boasts a deep red hue throughout to capture every attention of your loved one.